Do you want to become an application reviewer? Adults including college students may choose to review these dynamic applications from the national pool. The time involvement would be 2-3 hours for about every 10 you choose to review. A rubric is provided to evaluate the paragraph responses. If this sounds interesting, please go to <http://aspirations.org/register> and on the application, choose the last item Award Reviewer. With the support of the Alverno College Alumnae Association, we wil hold our awards again at the Sr. Joel Read Conference Center at Alverno College from 1:00pm to 4:00pm (please note updated times). 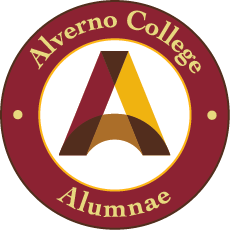 Alverno College is at 3400 S. 43rd Street, Milwaukee, WI 53234. On April 22, 2018 we held our awards event with nearly all awardees attending and about 260 total attending. Download the program booklet here. Article about one of our awardees who received an NCWIT Aspire IT grant to create a Saturday workshop for middle school aged girls in her community. Article about one of our 2016-2017 NCWIT-WI Aspirations Award winners now at UW-Madison. The National Center for Women in Information Technology (NCWIT) Aspirations in Computing (AiC) Program provides technical young women with ongoing engagement, visibility, and encouragement for their computing-related interests and achievements from high school through college and into the workforce. AiC Community members are supported by their peers, volunteers, and NCWIT Alliance member organizations who offer exclusive access to scholarships, internships, mentorship and professional work to strengthen their leadership, technical, and entrepreneurial skills, further preparing and motivating them to participate in the computing workforce. The Wisconsin Affiliate of NCWIT is uniquely charged with developing a statewide network of support for members of Wisconsin’s AiC Community. NCWIT-WI plays a key role in the development, attraction and retention of young technical women to support economic development and innovation across the State of Wisconsin. The WI Affiliate is based out of Southeastern Wisconsin and leverages the Wisconsin Mathematics Education Foundation (WMEF) as its fiscal agent. All donations are tax deductible. Award recipients are selected for their aptitude and interest in IT and computing, solid leadership ability, good academic history and plans for post-secondary education. Winners and honorable mentions are selected at both a National and State level. State winners and honorable mentions are recognized at a local ceremony designed to connect their winners to post-secondary education providers and businesses with an interest in supporting young women in technology. Recipients of the AiC Educator Award are also recognized at this event. About: Aspirations in Computing (AiC) Collegiate Award: Open to college women in any year of study who have completed technical projects that demonstrate a high level of creativity and potential impact. Awards range from $2,500-$10,000. This award program is administered at the National level; however, the Wisconsin Affiliate provides support as needed to AiC Community Members who wish to pursue a project and/or need local support to apply for the award. About: Aspirations in Computing (AiC) Educator Award: This award is open to any educator who has endorsed at least one young woman for the Award for Aspirations in Computing (HS) during the 2017 application period between September 1 and November 6. This award publicly celebrates educators - teachers, counselors, administrators, mentors, and other influencers - who encourage high school women's interest and ability in computing. There is one winner and possibly multiple honorable-mention awards each year. About: AspireIT K-12 Outreach Program: This program, open to any awardee of the Award for Aspirations in Computing (HS), provides funding (up to $3,000) for a program which an AiC awardee implements to connect with K-12 girls to create and enhance interest in computing. Using a near-peer model, program leaders (AiC awardees) teach fundamentals in programming and computational thinking in fun, creative environments. Swag bag donations for WI AiC Winners and/or honorable mentions. Provide post-secondary advising personalized for AiC Community awardees looking for direct-entry/transfer information related to technical programs of study. Scholarship support to WI AiC Winners and/or honorable mentions communicated through WI AiC Community. Commitment to provide information on eligibility and how to apply for internship opportunities through WI AiC Community.